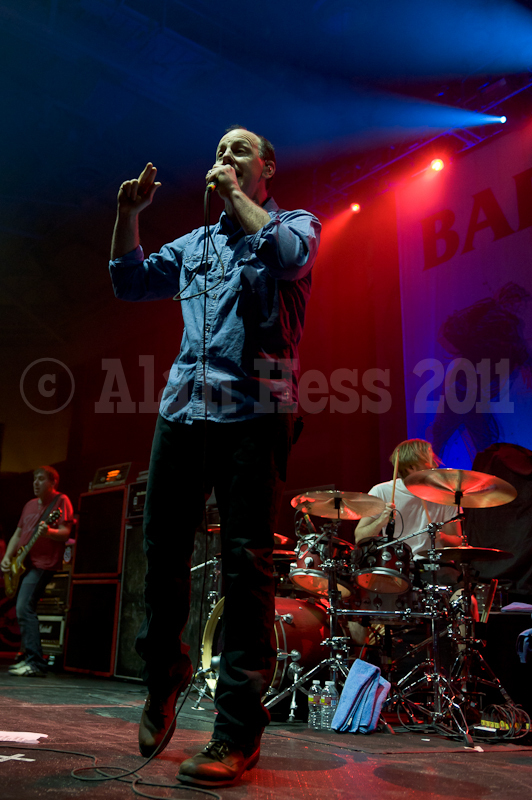 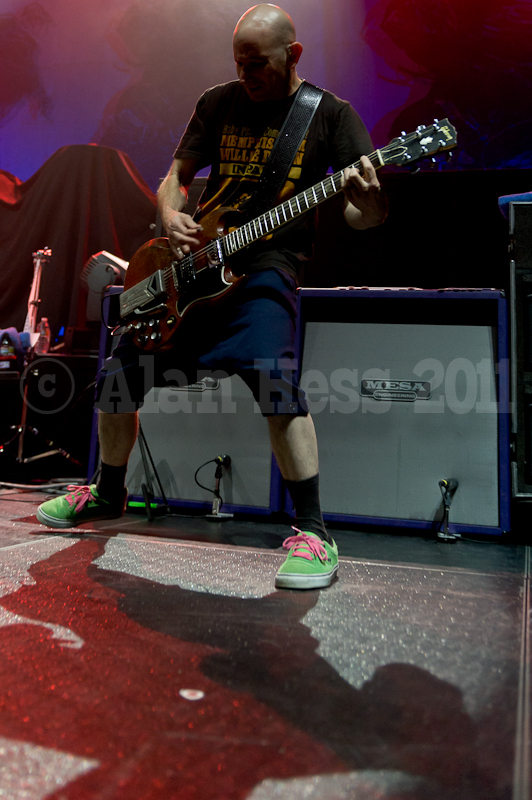 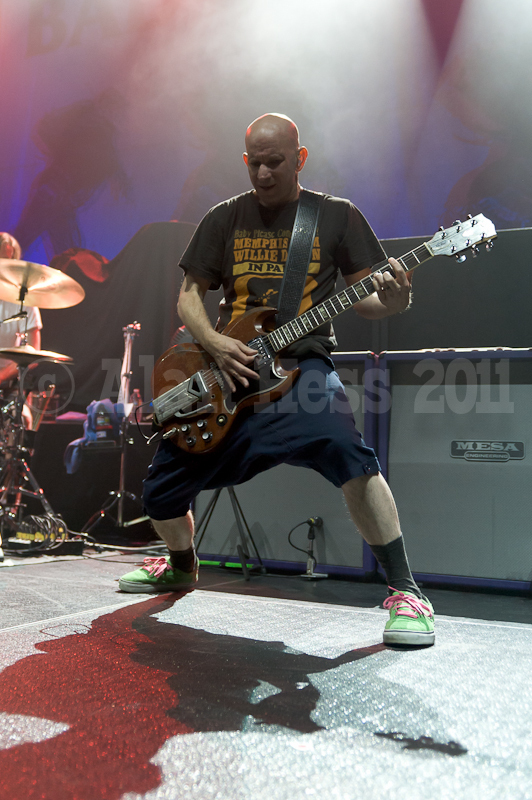 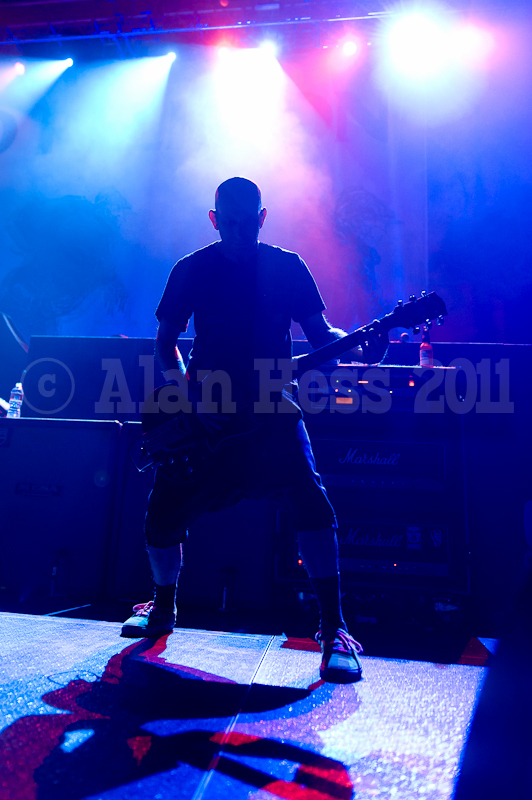 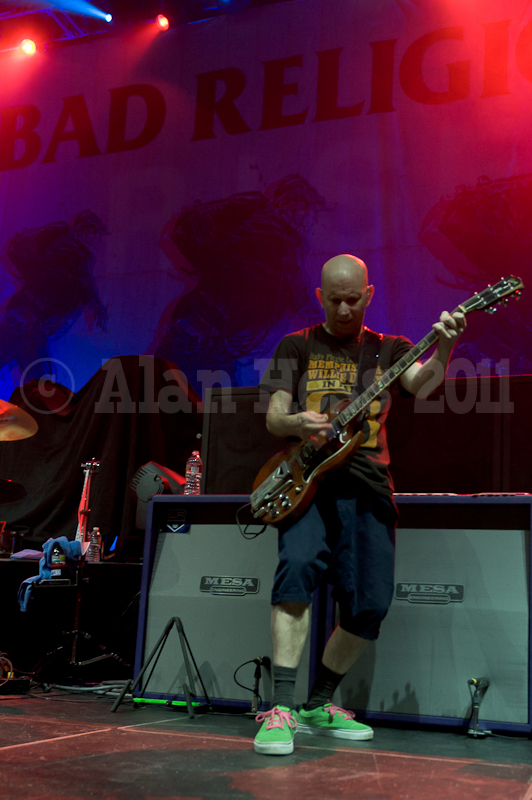 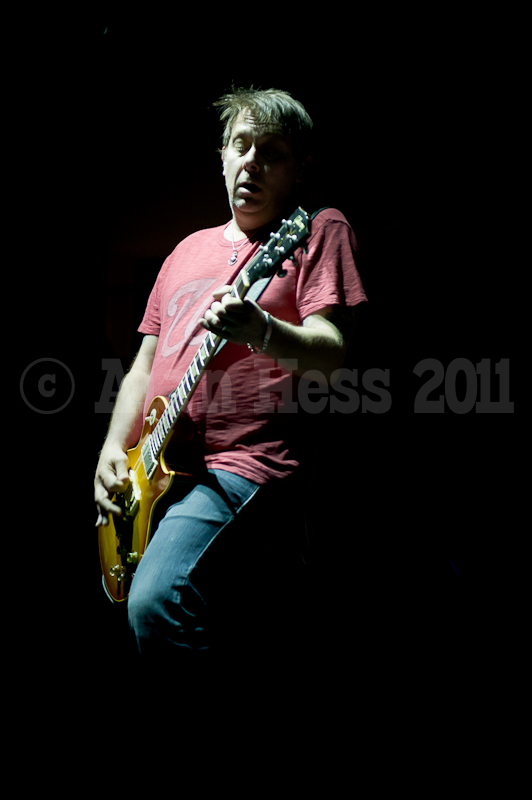 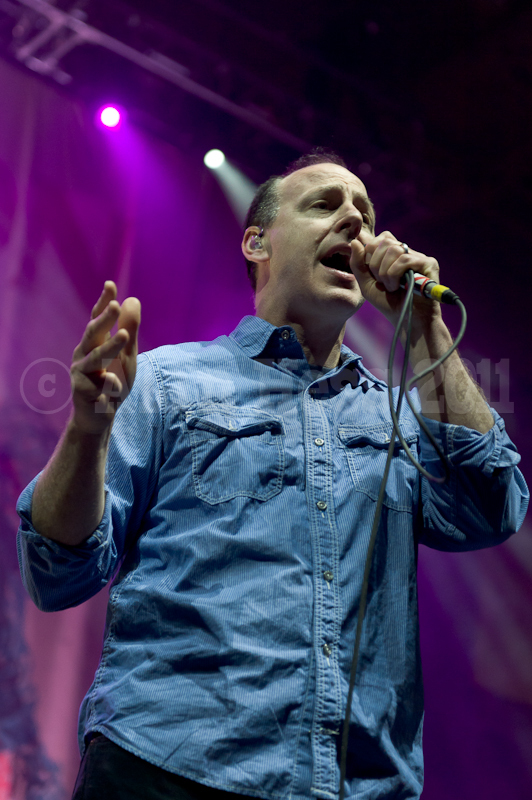 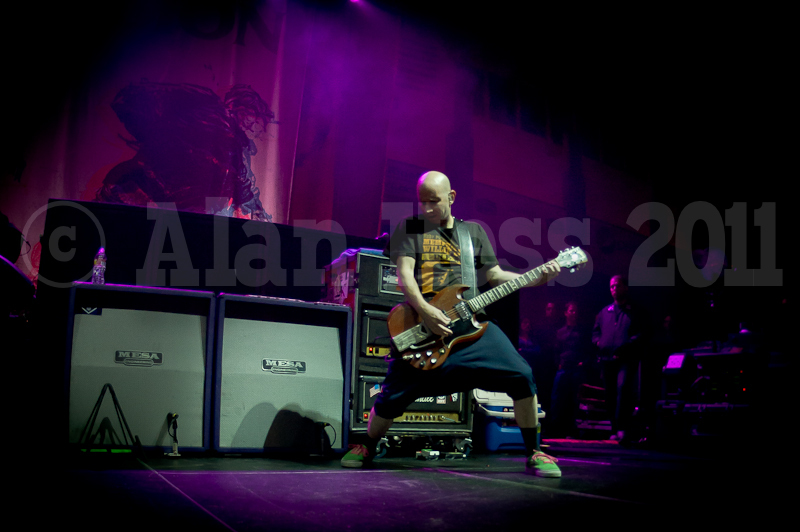 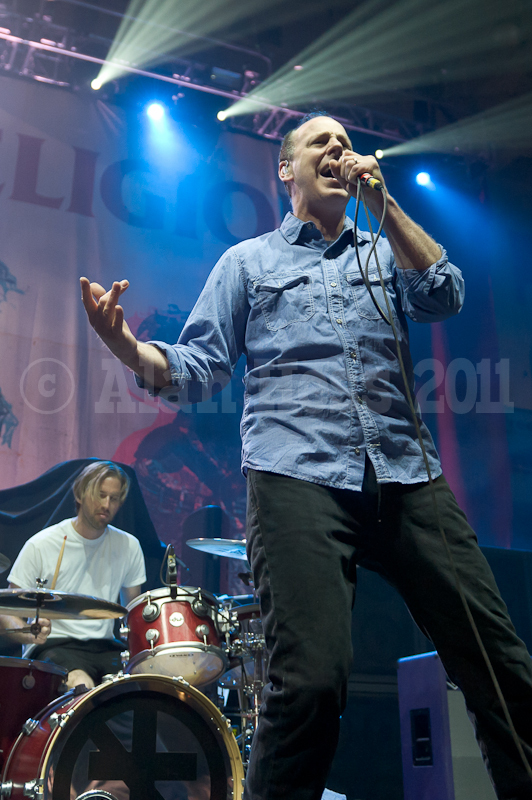 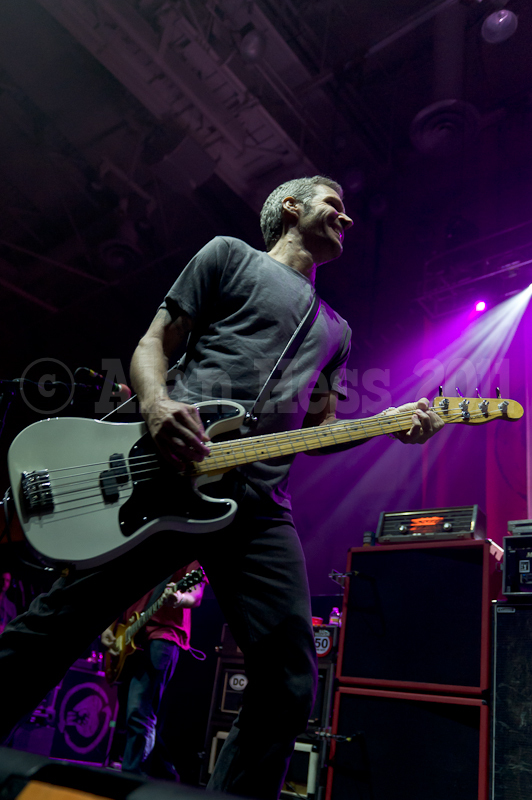 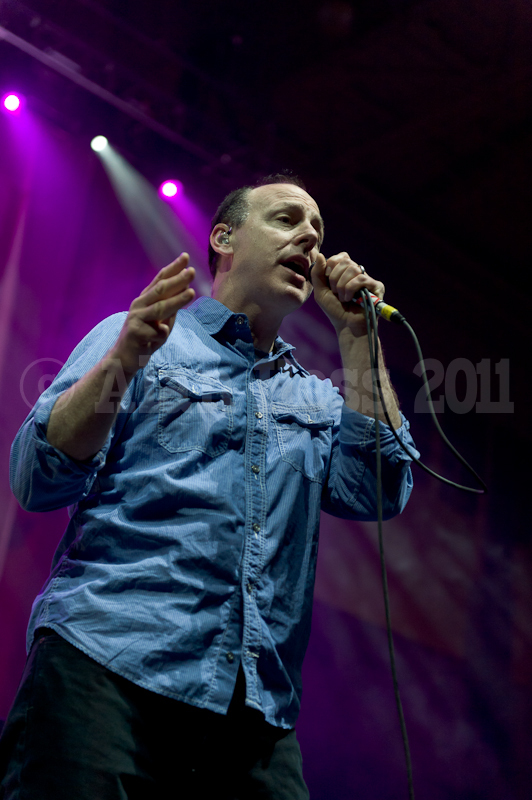 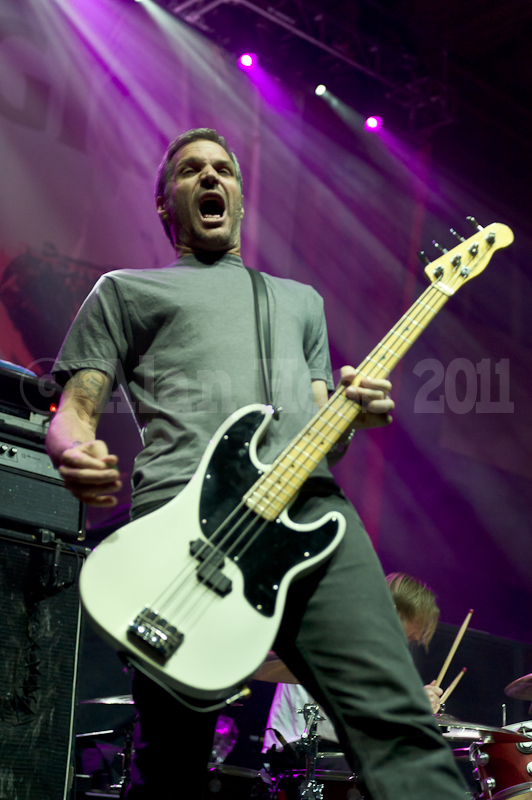 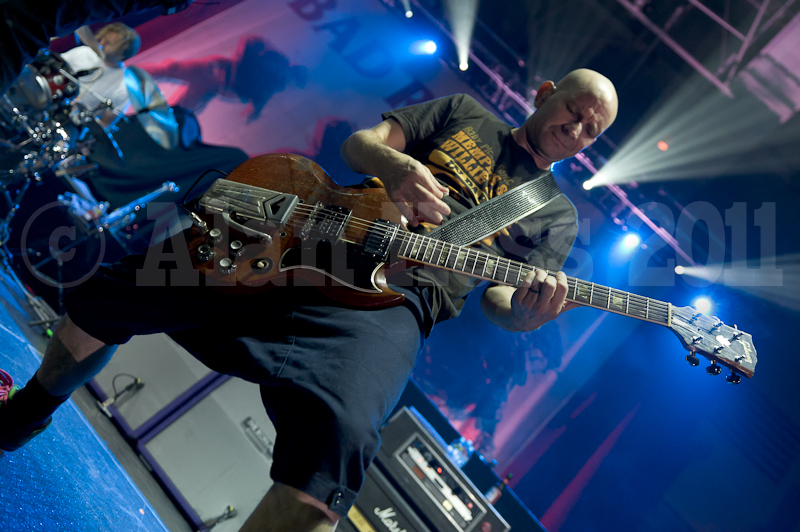 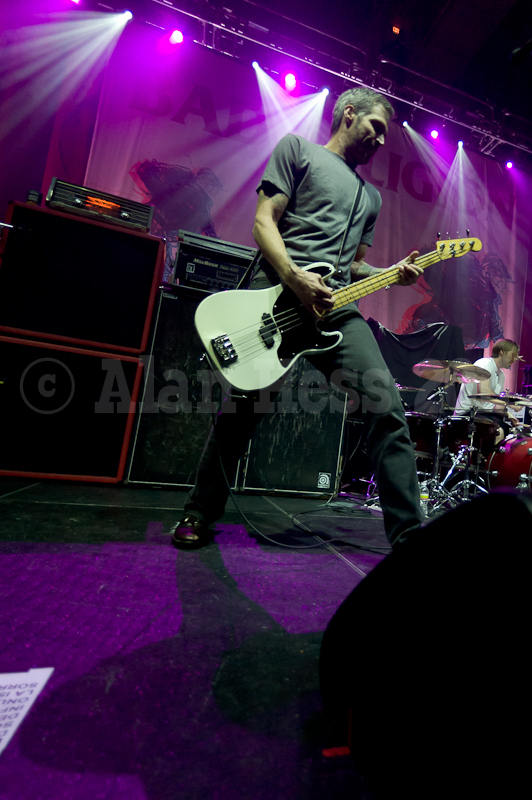 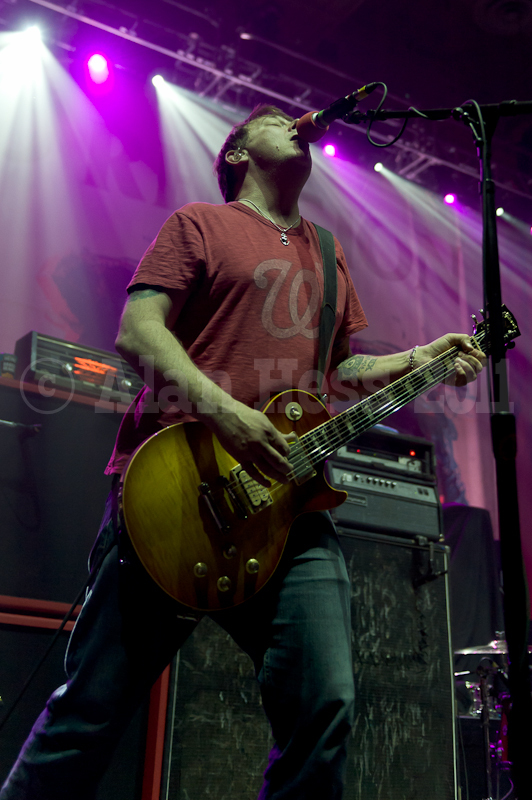 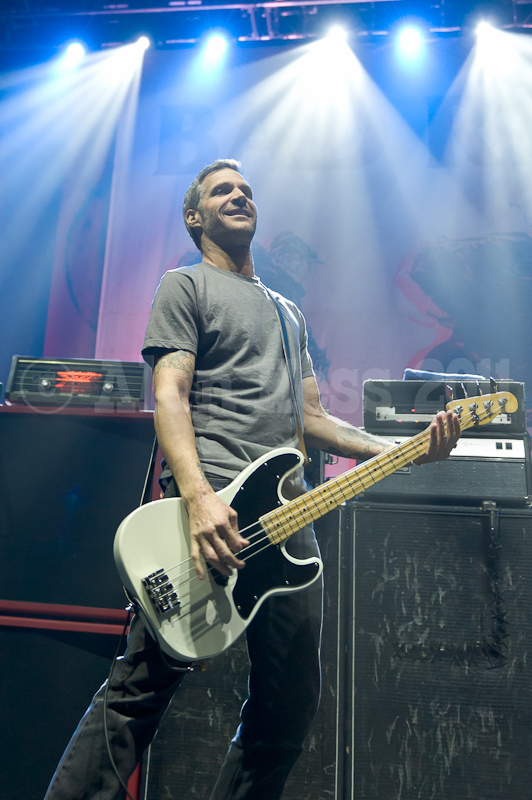 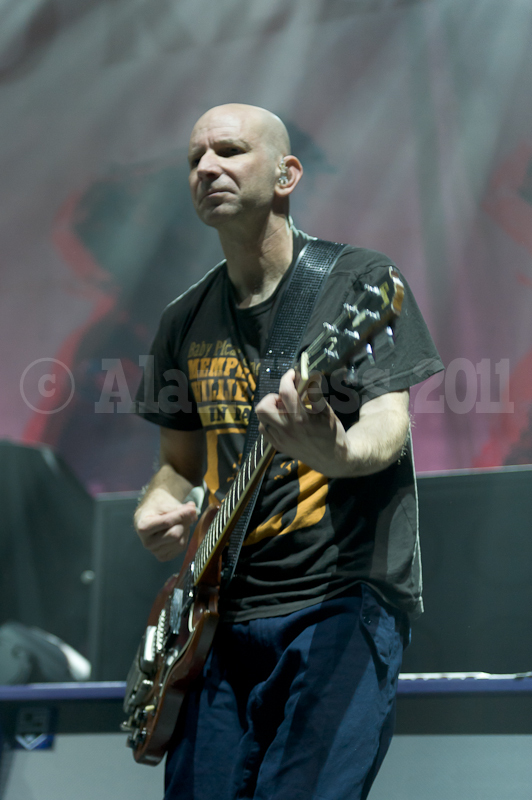 A few weeks ago I got to shoot Bad Religion when they were on the bill with Rise Against. 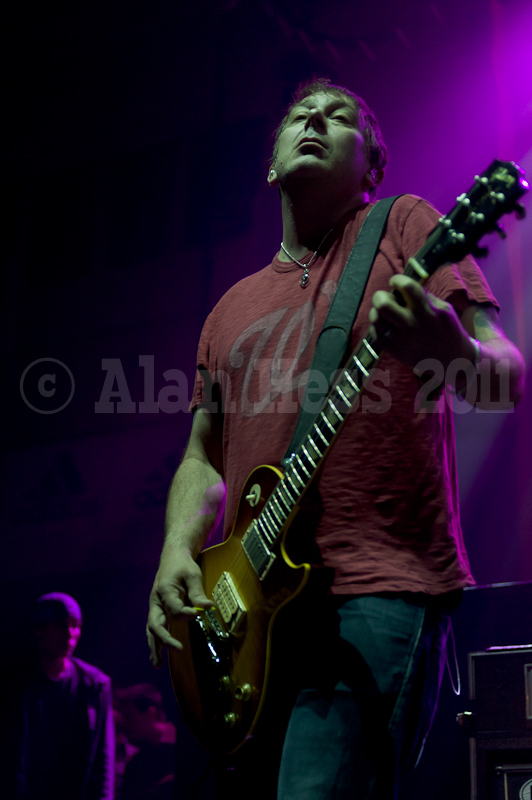 It was great to be back shooting at the UCSD RIMAC Arena. 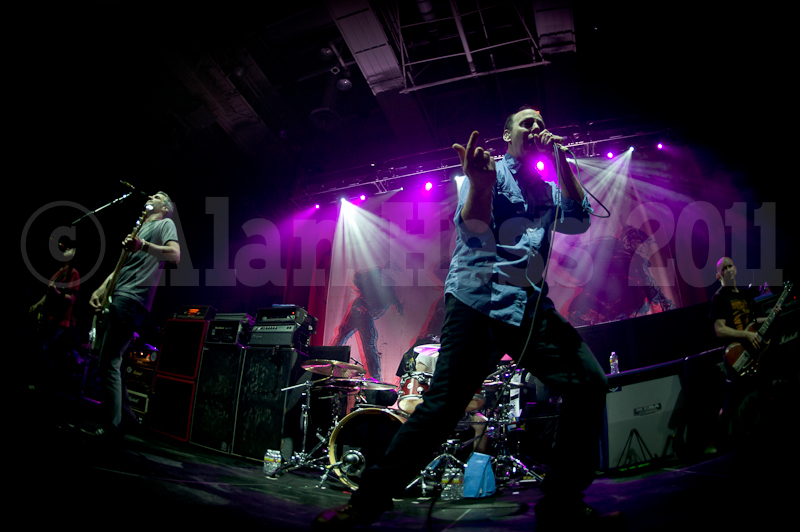 I had shot there previously for the house and this was my first time shooting there for SoundSpike. 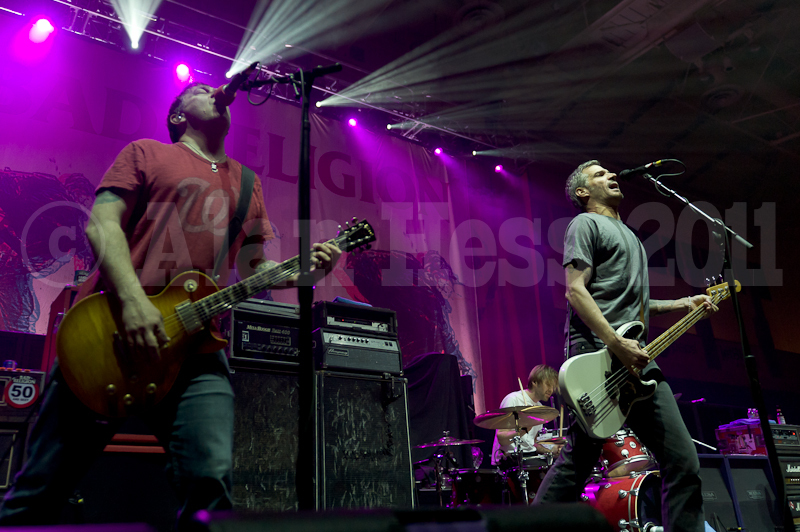 On the plus side, there was really nice lighting, on the downside the photo-pit was quite crowded and some of the photographers seemed to be in competition with each other and kept blocking shots. 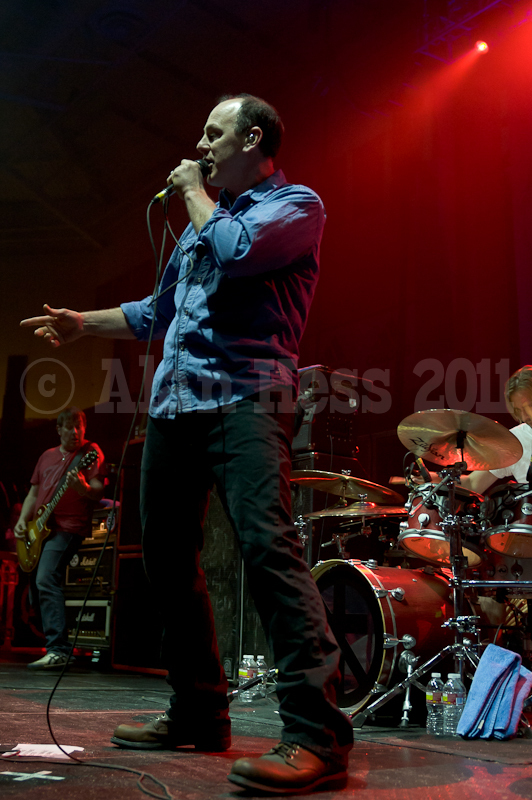 One even sat on the speakers that were in the pit to get closer to the band. 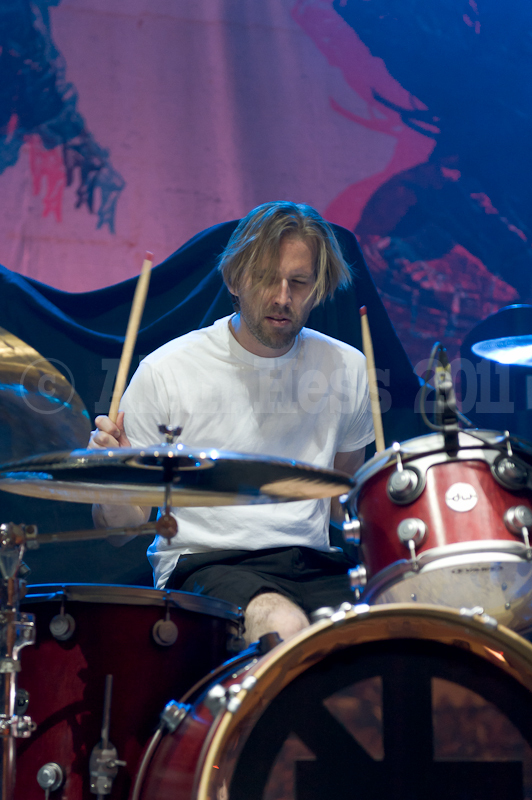 I am surprised he didn’t get removed. 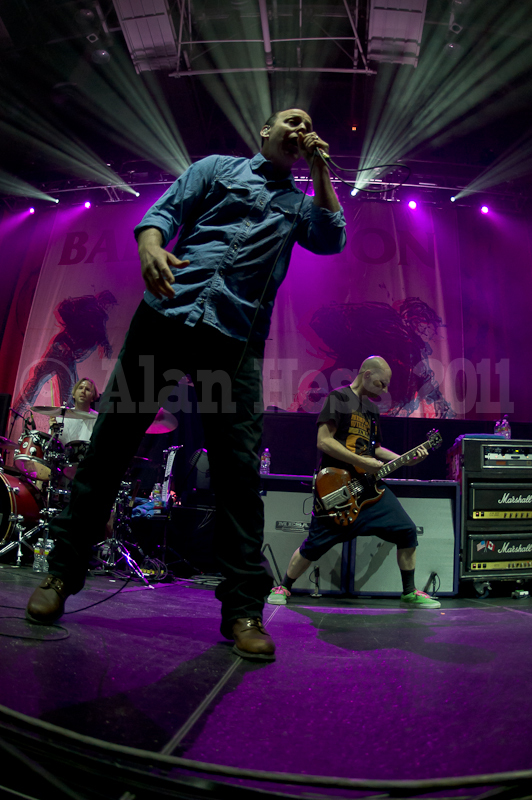 All images were captured with a Nikon D700 and 70-200mm f/2.8, 24-70mm f/2.8 and 16mm f/2.8 fisheye Nikkor lenses on Hoodman RAW CompactFlash cards.